Cardiovascular disease is responsible for more than 30% of the total number of deaths worldwide, and every year more people are being diagnosed with the condition. In 2015, more than 85 million people in Europe were living with cardiovascular diseases. But although the total number of people who suffer with cardiovascular disease increases, the number of those who die from heart and circulatory diseases is in steady decline. This is because treatment options, quality of care and access to healthcare have improved considerably since the middle of the previous century. In the UK alone, healthcare costs relating to heart and circulatory diseases are estimated at £9 billion each year – while overall, the cost to the EU economy is close to £200 billion a year. It makes sense then that cardiovascular disease prevention is considered to be the number one target for many national healthcare services around the globe. In a recent study we compared the short-term effects of the Mediterranean and the vegan diet. Our findings suggest that, at least in the short-term, the Mediterranean diet improves significantly the availability of nitric oxide in our veins and arteries – which is important to maintain the good health of our vascular system. Nitric oxide is severely affected by the ageing process and is strongly related to the development of cardiometabolic diseases. So, the observed greater nitric oxide availability is very positive news. This means eating more plant-based foods – such as fruits and vegetables, whole grains, legumes and nuts. You should also look to replace butter with healthy fats such as olive oil, as well as using herbs and spices instead of salt to flavour foods. Red meat should be limited to a few times a month, but you can eat fish and poultry at least twice a week. 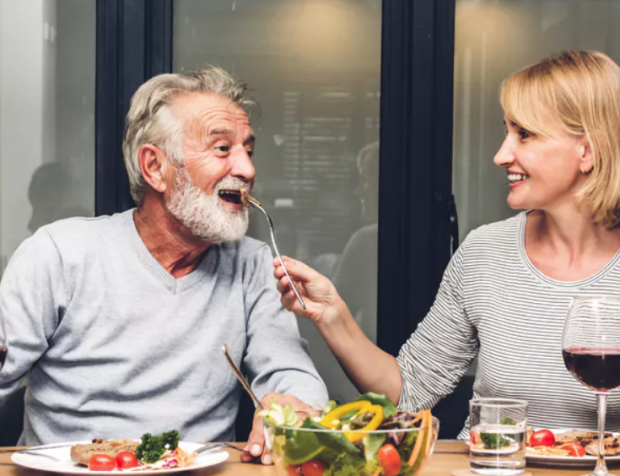 Enjoying meals with family and friends is also a big part of the Mediterranean diet and culture – as is drinking red wine in moderation (though this part is optional).